This is the card that rewards your smart shopping. Every purchase you make earns you Rewards Points to be redeemed for electronics, travel, gift cards and more. Your points add up fast for merchandise, travel or gift cards. This card comes with all the perks and no fees. Shop with confidence, knowing your payments will be affordable. Get quick cash without the unnecessary fees. Save on extra charges when traveling abroad. Buy what you need when you need it anywhere Visa® is accepted. Thanks to EMV chip technology and Visa®’s legendary fraud protection. 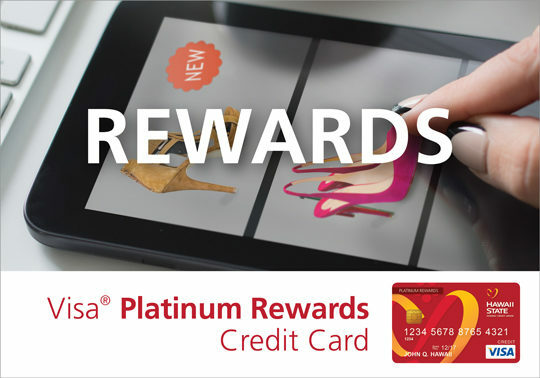 Ready to apply for your Visa® Platinum Rewards Credit Card? Open a Visa® Platinum Rewards Credit Card and earn 5,000 bonus points when you make $1,000 in purchases in the first 90 days. 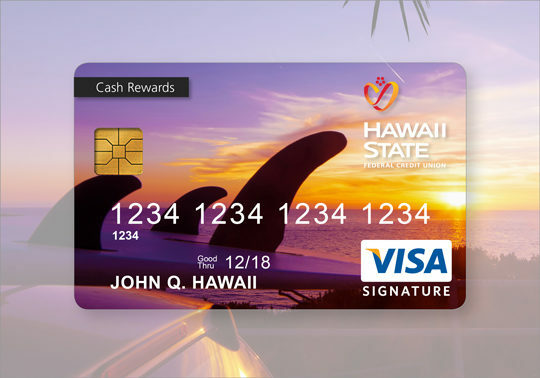 Show off your favorite photo every time you use your Hawaii State FCU Visa® Credit Card. For a limited time, it’s free to design your own card2. 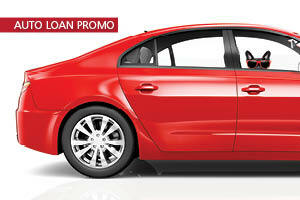 * No Cash Advance Fee, No Balance Transfer Fee, No Foreign Transaction Fee. Must be a Hawaii resident. ** The variable rates for purchases, balance transfers and cash advances when you open your account vary with the market based on the US Prime rate plus a margin. Your margin is based on your credit worthiness. 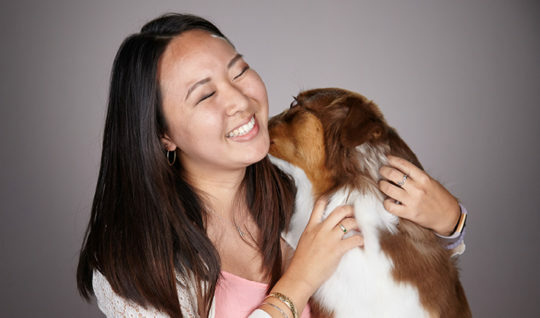 Need a little extra help managing your finances? Financing what you need with a credit card can be a smart way to manage your money. However, those cards can get you into trouble if you don’t carefully monitor every expense. Learn all about how to control your credit cards before they control you with a short eLearning video. We’ve partnered with Money Management International, the largest nonprofit, full-service credit counseling agency in the United States, to bring you free financial counseling and debt management. The Hawaii State FCU Credit Card App allows for on-the-go credit card management that’s fast and easy while keeping you up to date on your transactions. Access is secure and protected by multi-factor authentication. No personal information is stored on your device. View recent and pending transactions. View next payment amount and due date. Make a payment to your card. The CardLock App is a convenient way to take control of your credit card and stop fraud in its track. If you misplace your card, you can use the app to turn the card off. Then turn it back on again when you’ve found it. Set purchase transaction threshold amounts. Set up transaction and fraud alerts. Transactions over the phone, online or through the mail. Transactions made at gas stations. Transactions exceeding a specific dollar amount. To take advantage of this great benefit, log in to the Credit Card section of your Hawaii State FCU Online Banking account, click the Credit Card Alerts banner and follow the enrollment instructions. If you’re planning a trip and want to use your Hawaii State FCU credit card, contact us so we can keep your card from temporarily being blocked. You’ll need to provide your card numbers, countries being visited, date of travel, as well as your contact information. Online Banking gives you 24/7 access to your credit cards where you can view transactions and statements and make payments. Autopay allows you to make automatic payments toward your statement balance, a set (recurring) amount or the minimum payment due on your credit card. Text Alerts keep you updated about your account and money. Payments by Phone are available through our Member Service Call Center at Oahu: (808) 587-2700 or Toll-free: 1 (888) 586-1056. Or you can call Visa® Cardholder Services at 1 (800) 654-7728 to make a real-time payment from another financial institution. Please note: there is a Pay by Phone fee of $5.00 when paying through Visa® Cardholder Services. Pay via the Hawaii State FCU Credit Card App to make payments conveniently from the palm of your hand. 1. The variable APR for Purchases, Balance Transfers and Cash Advances for the Platinum Rewards card is 11.40% to 18.00%, when you open your Account, based on your creditworthiness. The APRs are current as of 8/8/2018 and will vary with the market based on the U.S. Prime Rate. Rates are subject to change at any time without prior notice. We will not charge an APR greater than the maximum that we are permitted to charge by law (currently 18.0%). Rewards Points are based on net purchases. Minimum credit line is $500 for the Platinum Rewards card. Certain terms and conditions apply. Membership in Hawaii State Federal Credit Union is required. 2. The first “Design Your Own Card” is complimentary. Thereafter, the fee for “Design Your Own Card” service is $9.95 per card. This feature is available 60 days after your card is issued.